Each year in February, Veterinary clinics like to raise awareness for dental health in pets. However, oral hygiene is an important part of your pet’s overall healthcare every day of the year. Daily preventative measures are key to preventing serious dental disease which can also lead to systemic diseases. Starting dental hygiene early is the best way to prevent issues from happening down the road. If you adopt a new puppy or kitten, you can slowly habituate them to having their teeth brushed regularly, and it can be a positive experience! It is also useful to be able to examine your pet’s mouth routinely so that you can check for problems and spot them early. See the link below for an excellent video on how to teach your dog or cat have their teeth brushed. You can find a toothpaste meant for pets that contain enzymes to control plaque. Avoid using human toothpaste as the ingredients are not meant to be ingested. If your pet will not allow you to brush their teeth then there are alternative options. Brushing is the best and most effective preventative method, however there are also dental chews containing enzymes to keep plaque at bay. Plaque buildup leads to tartar and once tartar accumulates the only way to remove it is with a dental cleaning. A dental diet is also a great option to help keep the teeth clean. Most cats and dogs not not actually chew their kibbles and will swallow them whole when they eat. Dental diets have large kibbles which mechanically clean the teeth, and they also contain cleaning enzymes. Hill’s® Prescription Diet® t/d® , and Royal Canin® Veterinary Diet DENTAL are both dental diets that are available over the counter at the veterinary clinic. Water additives such as BreathaLyser® PLUS can also be easily given as a way to keep breath fresh. On each examination, the Veterinarian will perform an oral examination (as much as the pet will allow). 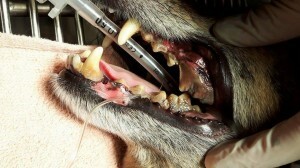 If your pet has tartar accumulation, the only way to remove it is to have a dental cleaning performed. 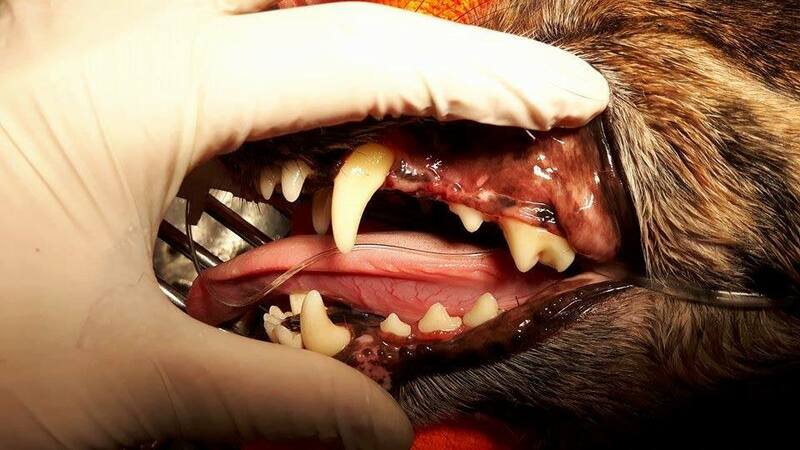 Some dental disease may not be visible on physical examination and problems may not be obvious until the pet is under anesthetic and the mouth can be examined in more detail. In order to accomplish a proper dental cleaning, general anesthesia is an absolute must.